To maintain the shape of Choisya ternata, just thin out an straggly shoots immediately after the main flowering. In colder, northern European gardens, the foliage is liable to be damaged from frost damage. Any frost damaged shoots should be removed entirely in March. New shoots will then appear from the base. Choisya ternata does not require regular pruning however as they begin to approach their maximum height and width of approximately 2 metres, they can overshadow smaller species and extend out from the borders onto paths and walkways. 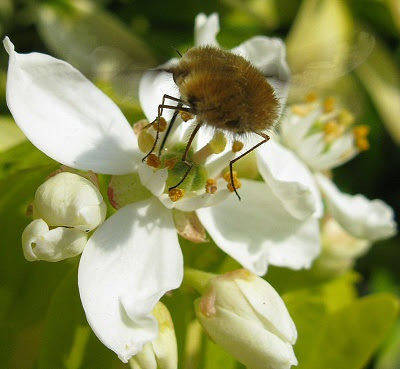 Just be aware that Choisya ternata flower on the new seasons wood, so if you want to have flowers the following any hard cuts will need to be made immediately after flowering. This will result in the exposure of unsightly woody growth but this will need to be tolerated to get an unruly specimen under control. It's not all bad news though because if you look carefully you will see plenty of young shoots already formed lower down in the shrub. 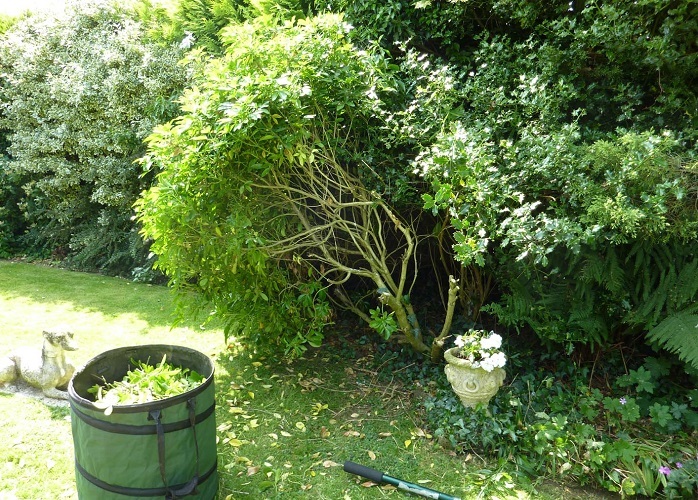 Now that they are no longer shaded by the mature growth they will quickly grow to fill the available space.